SKU: 5521. 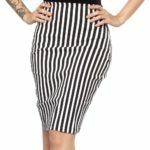 Category: Skirts & Trousers. Feel like taking a quick road trip? 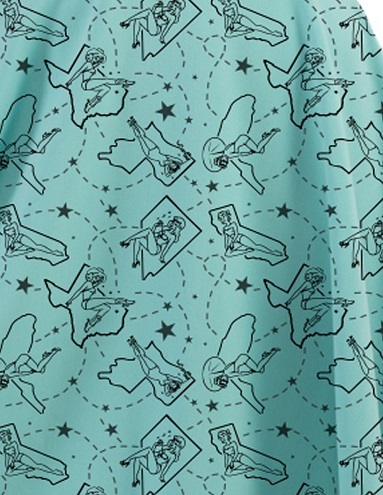 Drive through the states with the Pinup State Thrills Skirt. 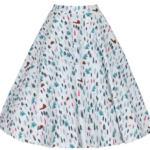 This basic circle skirt has a great understated whimsy with a print that features four different states and pinup girls pictured in each one. Available in Red and Aqua.